Hi friends! This is totally what I'm feeling right now (so I had to make a pinnable. That's normal, right?). I have this image of my daughter going over to our outdoor faucet and leaning down to take a drink to discover that the water is bursting out of the pipes full blast as she goes to take a drink. I have always loved the feeling of going to bed exhausted (let's pretend this is a feeling in past tense) from a well-lived, emotional, love-ful day. We're having a lot of those, and I feel blessed. However, the organized list of activities for Mommy & Daddy School is not quite what I had expected. 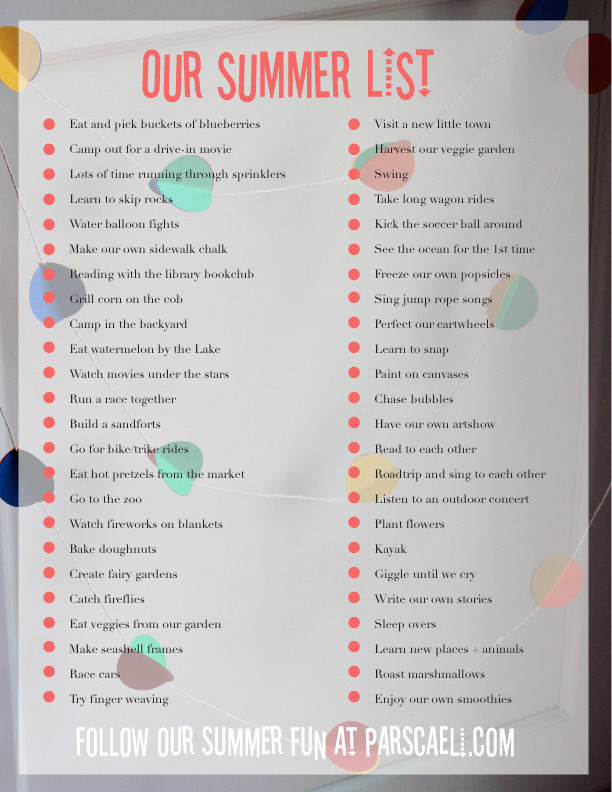 As you remember from last week, we base our summer learning together on what makes our children curious. For blogging purposes, I'd like this all to be content-rich, developmentally-appropriate, superior learning. But, this is real life, and I'm the momma here, and that title trumps blogger in any old Scrabble match (even if it has fewer letters). So, here's what we've had cooking for Mommy & Daddy school. We'll work in our bonus point fun (more on that later) and responsibility songs (ditto on more later) as the weeks go on, with the hopes that these might be useful to you. Three themes have emerged thus far from our learning: tie dye is unbelievably amazing, scavenger hunts make any kind of learning more fun, and this country we live in is pretty stupendous. (Can I tell you more about the second two in a bit?). Okay, so let me lay out these fun times so that you can pin, bookmark, star this and do it with your kiddos (or friends). We wanted a spiral design in the middle so I grabbed the center point of the shirt and twisted. As the twist got bigger, I placed the ends of the shirt around in a wrapped fashion, and I rubber-banded the shirt, creating four sections. This made it super easy for each child to know where to put their colors. Some wanted two colors, some wanted all colors, and sectioning it off like this helped them to understand color blocking and bleeding a bit better. We found that putting on way more dye than you think you need is best. Soak it in color! Once saturated, I wrapped them in plastic wrap to intensify the color. We kept them out in the sun all for about six hours, and I then washed out the dye in cool water. Check out the rainbow sink! After the water runs clear, which was about 4 minutes per shirt for us, wring out the water and pop it into your washer, with a high water, hot water setting. I kept reds separate from blues just to be sure there would be no bleeding. We let ours drip dry (be careful they do drip color), and I was so happy with the brilliance of color. The kids from big to small loved this. My favorite part of the adventure: these rainbow, water raisin piggies. Take some time to tie dye this summer. It's addictive. Join me back here tomorrow to learn how we're going to L-O-V-E our job thanks to Gretchen Rubin and The Happiness Project in our Summer of Happiness bookclub. Thanks for hanging out, friend. I can't wait to show you more of what's going on over here. Have you started your own version of Mommy & Daddy school? Tell us all about it! And yet, I had this feeling that I should have my own list. I am a mom, and it's my most beloved and amazing vocation. I am also a wife, a friend, a professional, an artist, and a little bit of a grown-up. So as we march through the weeks of summer (which are marching by so fast, aren't they? 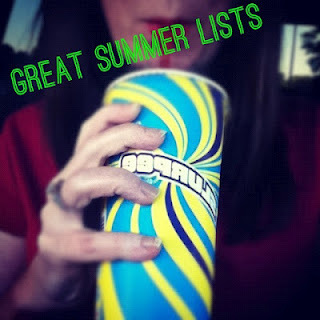 ), I'll be covering my own list of must haves for the season. It's my way of holding myself accountable, to make sure that these days of warmth include some time for me to feed and nurture what I want to give back to those I love so much. Living in an area surrounding by farms, I am blessed to have the ease to hop over to a fruit stand here and a larger farmer's market over there. I smile as I drive through back streets and see the handmade carts with fresh veggies, fruits, and flowers and the inevitable can left out to collect the suggested price from drive-by customers. These markets pop up all over the place, and to me they scream summertime, small town, and all that is good in humanity. We took a roadtrip to a charming town on the shores of Lake Michigan this weekend, and we stopped at my favorite market aptly titled, "The Summertime Market." I always look forward to pulling into the small gravel lot to see what fresh, local goodness awaits. The entire market is housed in an indoor/outdoor space no larger than a single-car garage, but everything is displayed so well in authentic wire baskets, with used wooden crates, chalkboard signs - every detail carefully attended. It's a little aged, and a little broken, in all the best places. We purchased an amazing red raspberry pie that left me feeling like I should capitalize its name. Definitely memorable. Here's the market through my eyes and the filters of Instagram. How would you finish this equation? Summer equals ____________. I'd love to hear!! Maybe I can add it to my grown-up goodness this summer. Thanks for the visit! So happy to have you here. P.S. If you want to experience this loveliness for yourself, visit the oh, so wonderful website. P.P.S. Check out Stephanie's great trip to her farmer's market (and that pizza!! ).